Yasya Minochkina was born and raised in Ukraine. After studying at Central Saint Martins and Royal Academy of Fine Art she moved to Moscow and founded a namesake-clothing brand. 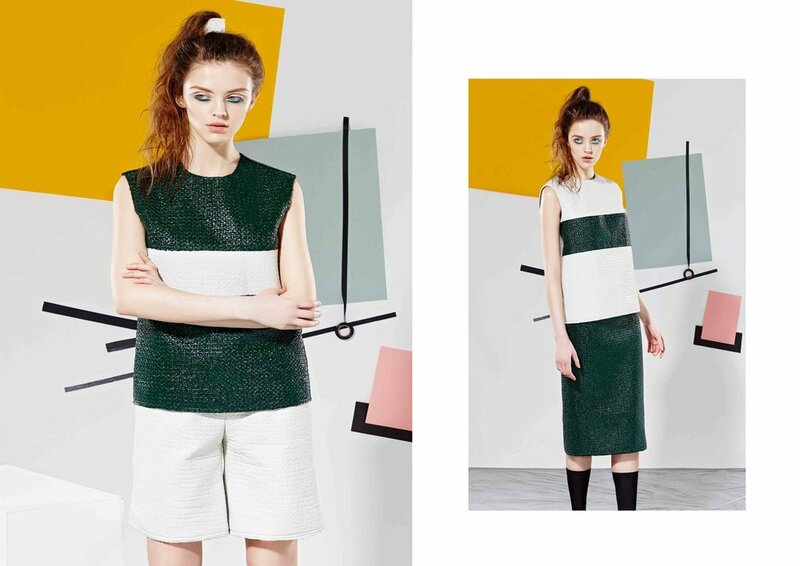 Yasya Minochkina’s style is a combination of femininity, wear-ability and modern approach to cut, color and shapes. The heart of every collection is a dress — mini, midi and maxi — accompanied with tops, skirts and suits. The designer tries to make cut look laconic and pure. The most common colours for her collections are black and grey, also she uses pastel shades: mint and pale blue. Yasya Minochkina practically doesn’t work with prints, except when she draws it herself or something very minimalistic and modest. Minochkina is strongly concerned about new technologies: she follows the innovations in the textile Industry. The designer buys fabrics mostly from Europe and Japan. She prefers basic soft cotton, wet silk and a mix of wool and polyamide. She uses natural silk even to create lining and buys accessories of high quality for her clothes. Yasya Minochkina makes comfortable and high-quality clothes that put her at the driving seat of control of every level of the production.